The years travel so fast – yet again we’re creeping up to the New Zealand and United Kingdom end of the financial year (EOFY). There is absolutely no doubt that your daily to-do lists are chock-full and you’re busy growing your business, but we’re here to make sure that you are fully prepared for the EOFY. Here are 5 tips to give you a roaring start to the new financial year. If you’re struggling to chase arrears and get rent paid on time then it’s a great idea to put a plan in place to address this to keep cash flow steady. Robust cloud-based property management software that integrates with accounting software applications, such as Re-Leased and Xero, will take the hassle out of chasing payment. This is what makes seamless automation of key tasks like invoicing and maintenance task reminders so powerful at the pointy end of the EOFY. This time of the year also calls for property professionals to look inwards at their financial checklist – have you paid your debts and bills? Contractors can be notoriously slow to issue invoices, which can create an imbalance to your true financial statement. But with a property management software in place, you can invoice and chase paperwork directly from the system, and then sync it with an accounting platform to make sure all key documentation is up-to-date and always accessible. As we segue into the importance of task automation leading up to the EOFY and beyond, streamlining your accounting is part of a full integration into cloud-based software applications. If you are still using spreadsheets, or if you are sick of using a server-based product, now is the best time to make the switch to a new platform. Going live in the new financial year with a new software platform will help set your business up for success, and will allow you to start the year off on the right foot with a clean slate: i.e. 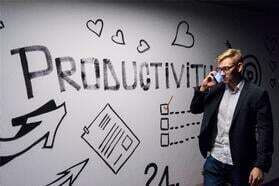 there won’t be need to double up on your financial reporting. It’s also worth noting that when we talk about the value of the right timing, what we’re referring to is that idea that if you sign up for a new software solution before the EOFY, you can write that cost off, too. 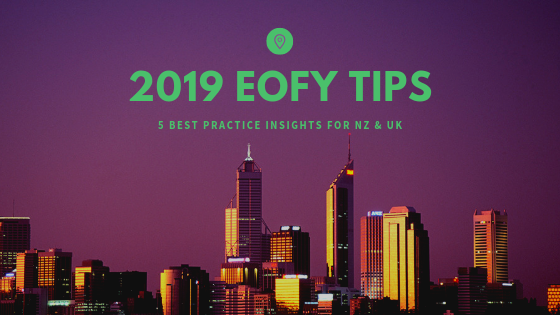 The EOFY is a great time to also look beyond the numbers and towards your in-house culture to get a feel for how the team feels about the year’s processes, procedures, and so on. There is almost always room for process improvement (even when closing out a highly successful year), and the EOFY is yet another timely date on the calendar to strategise for continued success. Setting attainable, realistic goals and key performance indicators is a sure-fire way to keep the business and staff accountable. At this time of the year think about whether you achieved your goals last year...or if you didn’t discover why that might be and make adjustments. It’s critical to look at ways to improve your property management processes and reward stand out workers for their hard yards in the past year that was, and as we know recognition goes a long way, so what you can even consider doing as part of this process is including key staff members in on your reflection sessions to see how whether they reached their goals. When you make the move to cloud-based property management software, our advice is to seek out a provider who doesn’t just view you as a mere customer, but instead as a partner that they can help grow and exceed internal expectations.